DC Comics has declared 2019 the Year of the Villain, and in May, as a precursor to Free Comic Book Day, evil reigns supreme. Similar to last year's DC Nation #0, the Year of the Villain 25-cent, 32-page comic will spotlight some of DC's most prominent villains, with a group of influential creators such as Scott Snyder, James Tynion IV, Brian Michael Bendis, Alex Maleev, Jim Cheung and Francis Manapaul. However, DC also revealed that Snyder will continue the story of his and Jock's The Batman Who Laughs in a new ongoing series. 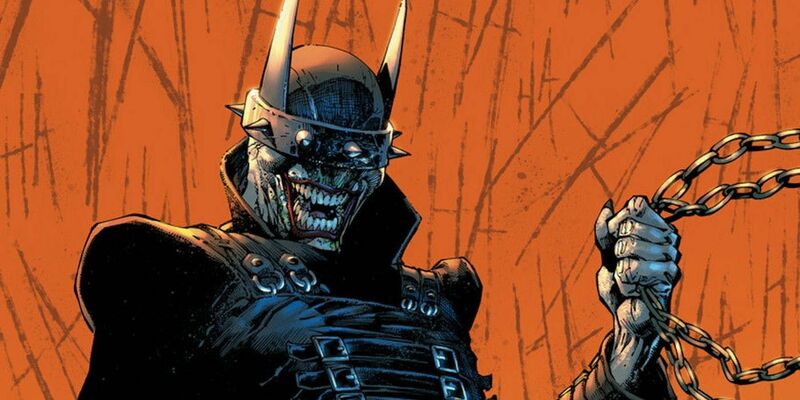 According to the publisher, the events of the final issue of The Batman Who Laughs will not only play out in DC's Year of the Villain but also spin off into "a master plan revealed in a to-be-announced new series debuting this summer." The Batman Who Laughs is a version of Bruce Wayne from Earth -22 who finally crossed the line and killed his nemesis The Joker. However, upon his death, Batman was infected with a unique strain of Joker toxin, which created a Batman/Joker hybrid who murdered his friends and family and decimated his entire world. He would play a prominent role in the massive DC crossover event Dark Nights: Metal as the leader of the army of evil Dark Knights that invaded the mainstream DC Universe. When the tide turned in favor of the DC heroes, The Batman Who Laughs managed to survive the chaos and later appeared as a "prisoner" of Lex Luthor in the Hall of Doom. Once freed in exchange for information about the Multiverse, he returned to torment the Batman of this universe with his new ally, the gun-toting Batman known as the Grim Knight. In order to defeat them, Bruce and his colleagues have been forced to align themselves with unlikely allies such as The Joker and Jim Gordon's homicidal son James in hopes that their unconventional alliance can provide perspective that will give them the edge to defeat these unrestrained monsters from another world. With an original cover by Dark Night: Metal artist Greg Capullo, DC's Year of the Villian will also feature three variant covers by Maleev, Cheung and Stanley "Artgerm" Lau. The issue will be available in stores May 1.